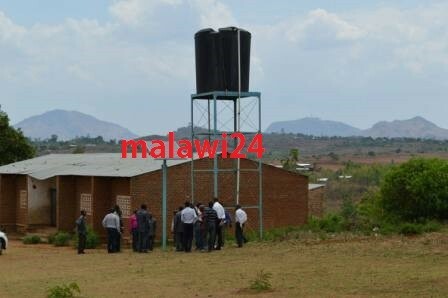 People in the area of Senior Chief Mpama in Malawi’s Chiradzulu district can now breathe a sigh of relief as lack of access to potable water will no longer be a concern. This follows the handover of a 10 million Kwacha modern solar powered pump which is going to serve about 25,000 people surrounding the area. The water pump called the SolarPedalflo has been repaired voluntarily by MWI Pump Manufacturing Company. According to the MWI Pump Manufacturing Company’s senior engineer, Charles Razika, the pump has immense advantages over boreholes or any other hand pumps because of its effortless collection of water, efficiency, durability and reliability. Razika described the absence of sustainable technology to solve water challenges in rural areas as the reason that prompted him to repair the water facility and hand it over to Chiradzulu communities for free of charge. “It is the realisation that there was a yawning gap for a sustainable technology to answer the challenges of the provision of potable water that prompted me to voluntarily rehabilitate the Chiradzulu SolarPedalflo pump. I felt it was good technology being put to waste,” said Razika. On his part, Chiradzulu District Commissioner, Ali Phiri, said the use of up to date technological ways can be reliable and cost saving means in solving water challenges in the country. Phiri thanked the engineer for the development saying it will lend a hand in ending water problems communities in the district were facing. Senior Chief Mpama also commended MWI Pump Manufacturing for the initiative saying others should emulate the charitable heart the contractor has shown in order to build a good Malawi. The solarpedalflo pump was first introduced to Malawi in 2002 but till now this technology is yet spread to all parts of the country. Nice work by the engineer. Hope other Engineers on the African continent will emulate their Malawi colleagues and come up with similar good water supply systems in needy areas. Full marks to the Engineer in-charge. Mpama, which area, mbulumbuzi, chitera, makawa, walala?